Cold and bad weather came later, here in Madrid, for autumn season this year. But Inktober is never late. 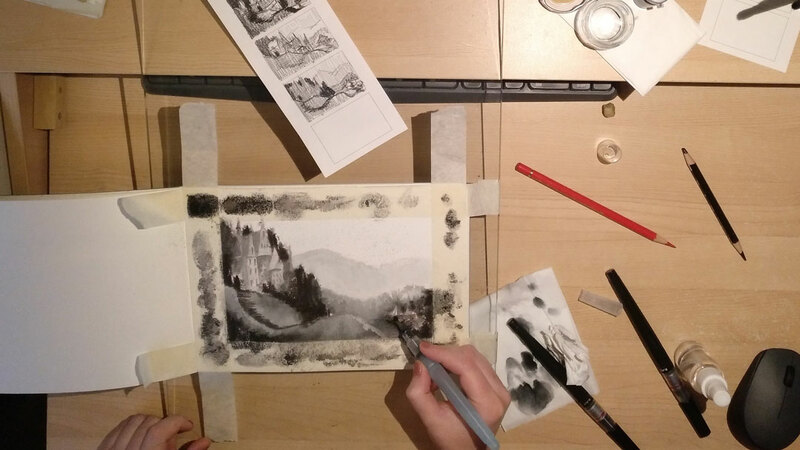 Probably you already know about Inktober: Jake Parker´s art challenge; but in case you don´t it´s easy to explain: creating ink images during the entire month of October. Sounds great, isn´t it? For ink lovers this is the best way to go back to this art material and stain their hands, clothes and workspace. Every year many tool recommendations are shared from Mr. Parker´s web and also from art supplies stores on social media. Here in Spain we have this grate one: La Madriguera Shop. There are different approaches for the challenge. One is make almost an ink drawing and share it on social media with #inktober #inktober2018 hashtag and do the same thing so many times as you can. Once a week is another possibility, so great for professional and amateur artists with not so much time but with a lot of enthusiasm. And the most difficult one for me: the everyday challenge following the official prompts list. You can check it out on Inktober rules web page. I´ve never been able to do the prompt challenge because I wasn´t enough motivated about the list. Maybe I will take this approach another year, who knows! But in my case I was surrounded by excuses everywhere: not enough time, I need to do the laundry, I´m failing my obligations… or maybe (looking on social media) Wow! Where this amazing people came from? My ink drawings are so bad in comparison that seem rubbish! Well, I think you have now the idea. But this year I changed my approach. What was interesting for me was doing it with consistency, adjusting the challenge the way I need, and create an artistic routine. I have been doing courses on Schoolism since spring (if you don´t know this online art courses platform I highly recommend you to take a look). 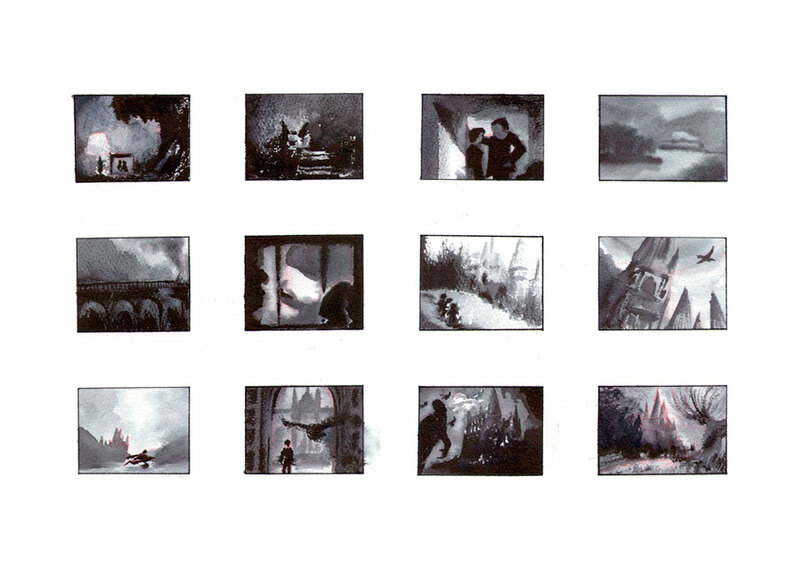 Actually I´m hooked on a few courses from, who I consider a (jedi) master in concept art, Nathan Fowkes. One of the most important lessons I´m try to learn from him is about consistency in our daily bases and about coping reference from art paying special attention to the simple statement in value structures and composition. And doing this every day is one of Nathan assignments. Best excuse for me! 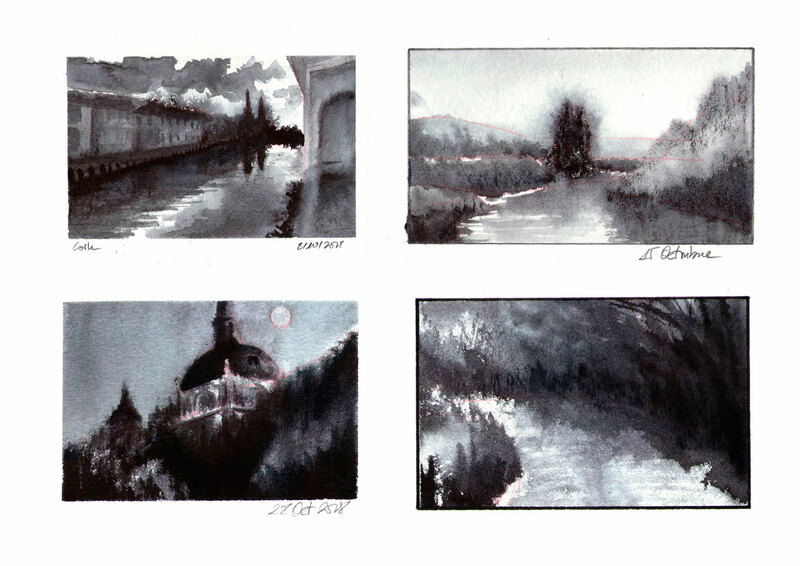 Ink is a versatile, but also tricky, technique. It can bring you joy but also frustration moments. In some way is almost like watercolour, it doesn’t allow many corrections. But it is so interesting for experimentation. 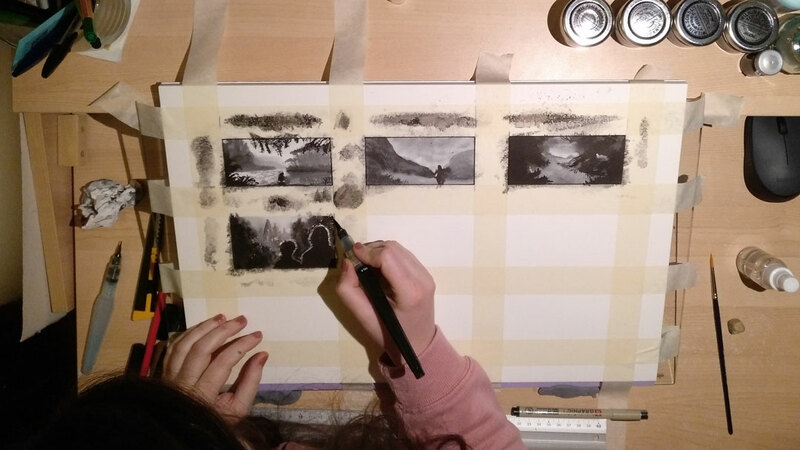 This year I decided to use the same tools that (my) master Nathan uses: Pentel´s water soluble ink brush and the water brush. Not so much about copying the technique but for use this as a limitation. 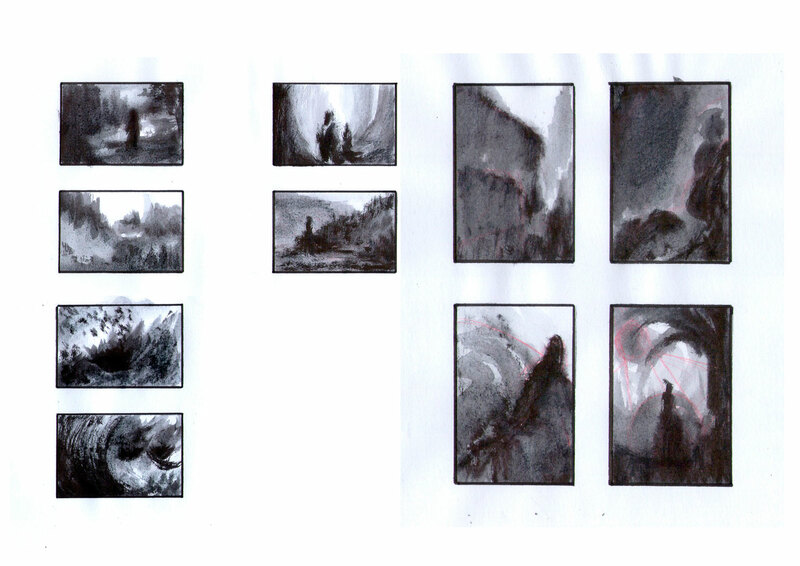 Every single day I repeated the same process: quick tiny comps with pencil, then I made the drawings on a (not so much) bigger watercolour paper and then play with ink brushes, trying to respect the value structure of my comp sketches. About the topic I didn’t think about it so much. 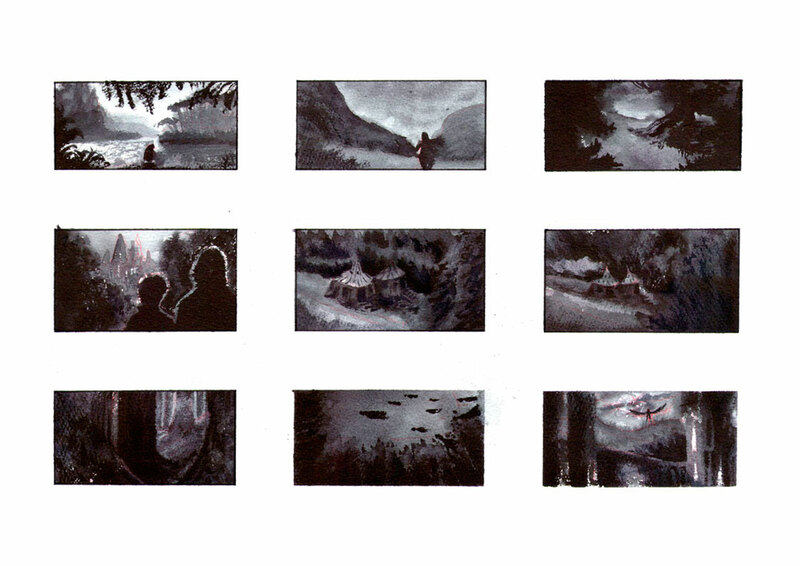 I just did Nathan´s assignments: coping from art, from photo reference, from real life, from movie frames or from whatever interesting image. 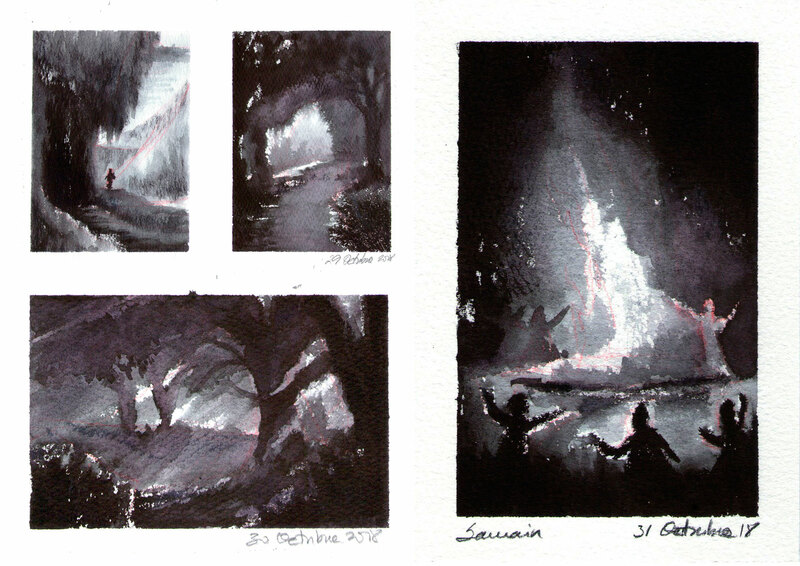 And when I felt brave I did some comps from my own imagination. Films: Harry Potter and Fantastic Beasts. 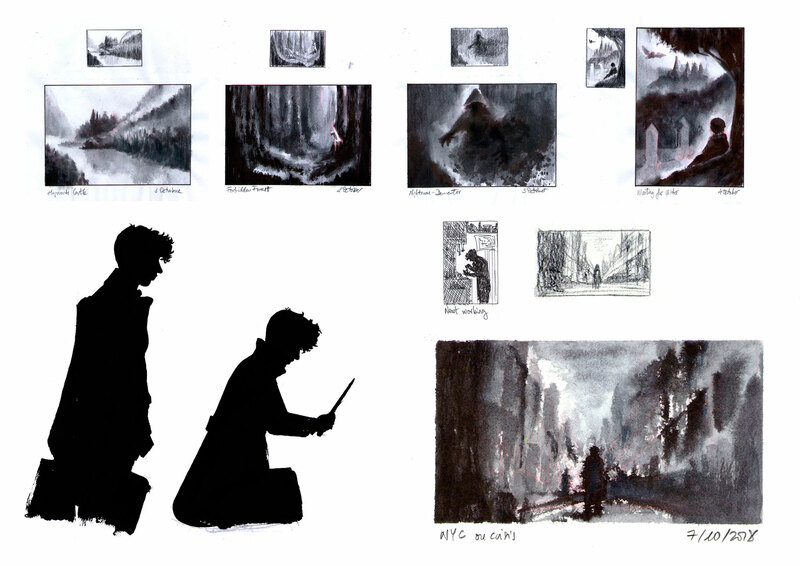 Movie frames from Harry Potter and Prisoner of Azkaban. 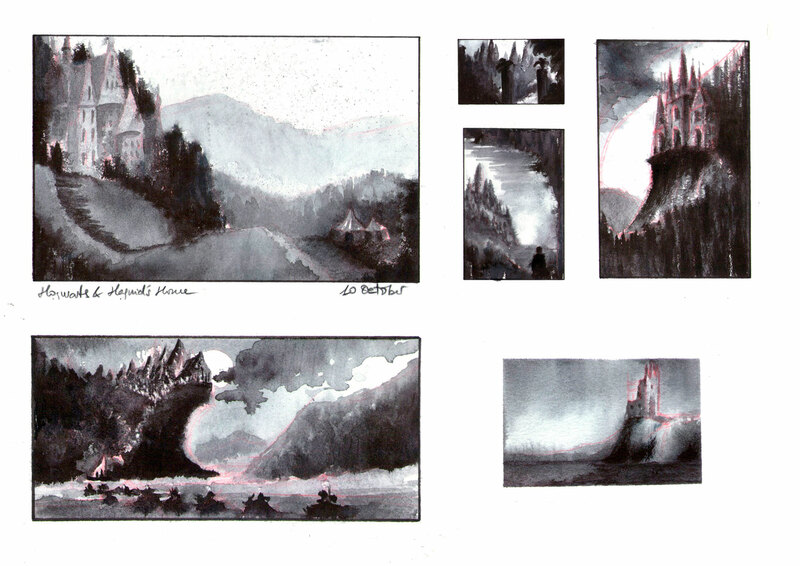 Some studies about Hogwarts castle. 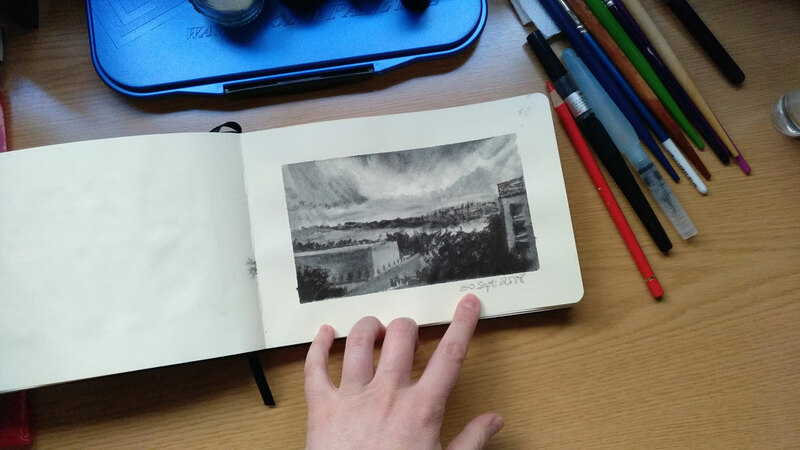 Places I know and photo reference, but real places. Compositions from my own imagination. And for the finale sprint it was all about forest, witches and Samhain celebrations with fire. So, after all this month of Inktober, I think I´m so happy with results. 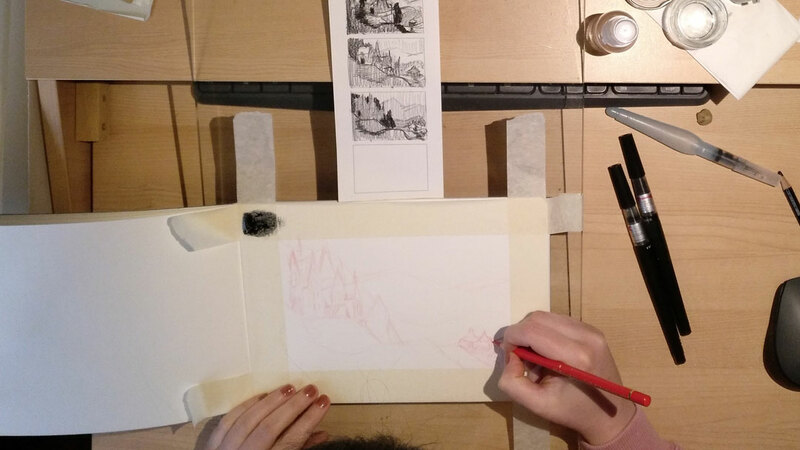 Not only because I feel satisfied with some of the ink final sketches but also because I´m on my way to reaching the goal in my daily work routine. I will keep trying to do this as a regular bases in my work process and hope I will achieve this goal. I hope to hear from your Inktober stories too because Inktober never ends.